Software Aligned with the Business. Almost every company in every market is wrestling with the challenges of digital business transformation. It’s all about re-engineering processes and adopting new business models – opportunities to generate more value for customers or deliver similar products or services at a lower cost. Network infrastructure is no different. Some companies will see this digital disruption as a threat, for others it’s an opportunity. But all are coming to realize one thing: it is inescapable, and business as usual is not a viable option. True business agility and innovation can only be served with a digital network. Cisco ONE is a business-centric bundle of network infrastructure software that helps you achieve this. It’s easy to use, innovative and cost effective. When it comes to the crunch, it’s the numbers that count. Read the Forrester report on the cost savings possible through Cisco ONE – helpfully delivered through the lens of a use case to see how your business could also make bottom-line gains. For a quick glance at how Cisco ONE can future proof your network and protect your infrastructure investment, download our laser-focused infographic. Is Network security your number one priority? Ours too. Download the ZK Research white paper authored by leading industry analyst Zeus Kerravala and find out how our Cisco ONE Advanced Security network infrastructure software can fortify your network defences. Cisco ONE network infrastructure solutions separate your hardware from your software so your network becomes a true digital enabler. Be it Data Center, WAN, or Access domains, Cisco ONE offers easy-to-buy, easy-to-consume solution bundles that align IT & line of business; take a deep dive into what you can achieve across your network architecture with Cisco ONE. Looking to introduce data center automation and analytics for enhanced business insights? Does the Cisco ONE Enterprise Cloud Suite’s (ECS) ability to deliver a multi-cloud capability that helps you keep pace with a 24/7 world sound enticing? Manage, secure and optimize your WAN infrastructure to help your business thrive. Be it branch or network edge, Cisco ONE software has your network architecture needs covered. Be it the campus or your branch, Cisco ONE has a bundle dedicated to your wireless & switching needs. Each pre-packed software kit helps you manage and scale your network access, aggregation and core switches ... while maintaining proximity to business goals. Network security lies at the heart of everything we do – Cisco ONE is no different. The Advanced Security bundle ensures all your Data Center, WAN & Access operations are safeguarded from pervasive, targeted attacks. It has to be safety first. Every time. Cisco ONE Subscription for Switching. Buy a Cisco ONE Subscription for Switching with our Cisco Digital Network Architecture (Cisco DNA) and get support for automation, analytics and security products. Cisco ONE for Data Center Networking makes it easier for you to build scalable, resilient, and highly secure data center and cloud networks. 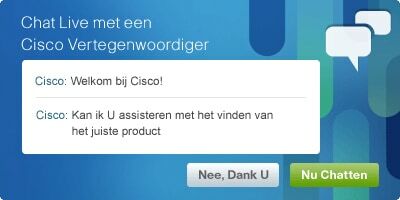 Are you a Cisco Partner? A hyper-competitive business climate combined with technology evolving at the speed of sound means it's survive & thrive time. To do this, your customers need to start their journey to digital transformation – and you are the trusted partner who can lead them safely there. Find out how by reading our bespoke partner-dedicated Cisco ONE assets here.